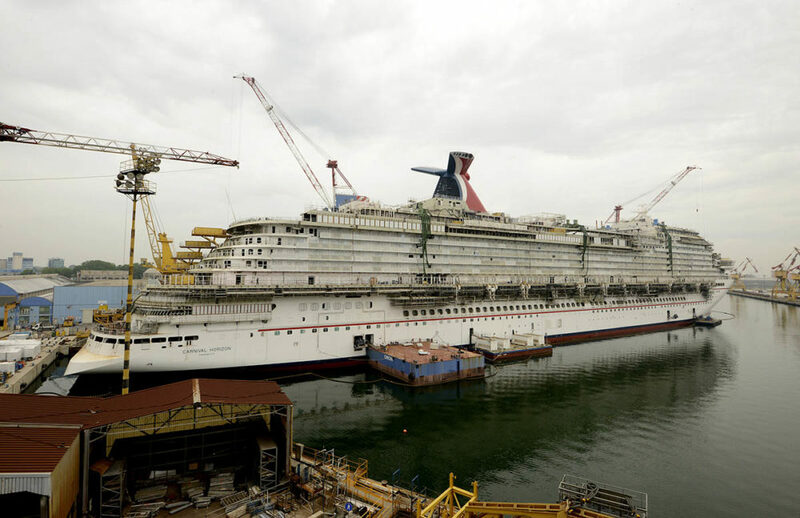 Carnival Horizon being constructed and due next year. Carnival Corporation has announced a $2.6billion net income for the full year of 2017. Revenues for 2017 were $17.5billion – $1.1billion higher than the $16.4billion in 2016. Carnival said in its annual report that it expects 2018 revenue yield to be up 2.5% compared to this year. Bookings across the world’s largest travel company for 2018 have been running well ahead of the prior year at higher prices, Carnival said. Carnival’s president and chief executive officer Arnold Donald said that despite booking disruptions from this year’s hurricanes, the company was heading into 2018 with a stronger base of business and higher prices than last year. Donald said: “We have numerous efforts underway to keep the momentum going in 2018 and beyond, from our innovative approaches to increased consideration for cruising, to the further roll-out of our state-of-the-art revenue management system. Disruptions to voyages caused by hurricanes reduced fourth quarter earnings by approximately $0.11 per share.